The Psych boys are back together again for one more case and, if your hopes and prayers are answered, at least one out-of-control sled ride through the Santa Barbara Police Department. 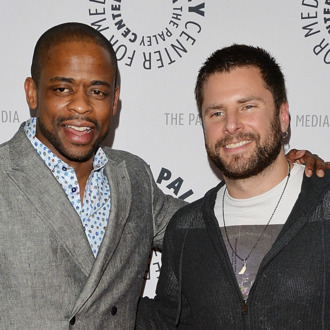 USA announced today that James Roday’s faux psychic Shawn Spencer and Dulé Hill’s sensitive straight man Burton “Gus” Guster will reunite for a two-hour holiday film appropriately entitled Psych: The Movie this December, over three years after the series came to an end following eight seasons and over 120 episodes. Per the network’s description, “The ambitious friends — along with some returning fan-favorite characters — come together during the holidays after a mystery assailant targets one of their own.” The news is not only a treat for you devoted Psych-Os, but it also raises the question for all television fans: Why can’t every beloved show come back for a holiday movie? A Very Buffy Thanksgiving? Hanukkah Comes to the West Wing? Boo! A Felicity Halloween? The possibilities are … well, they aren’t endless, but they’re only limited by the number of holidays we have, and boy, we have plenty.